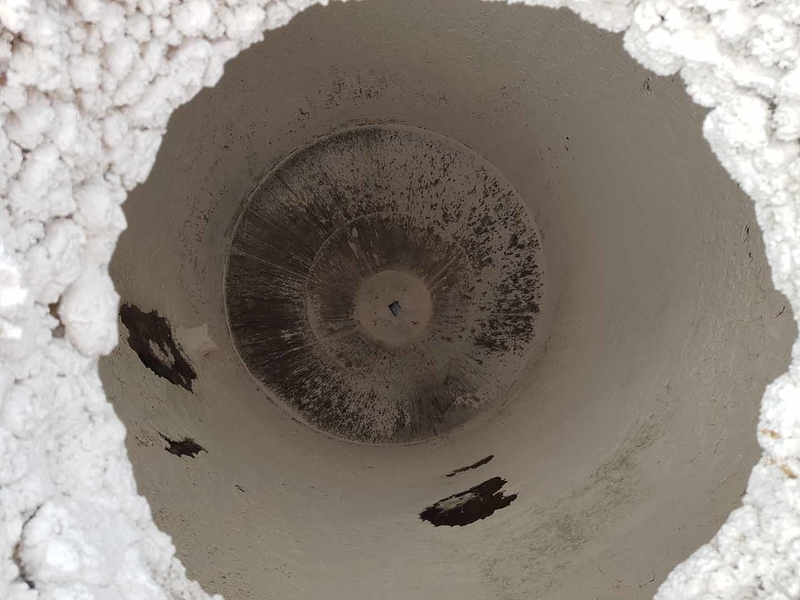 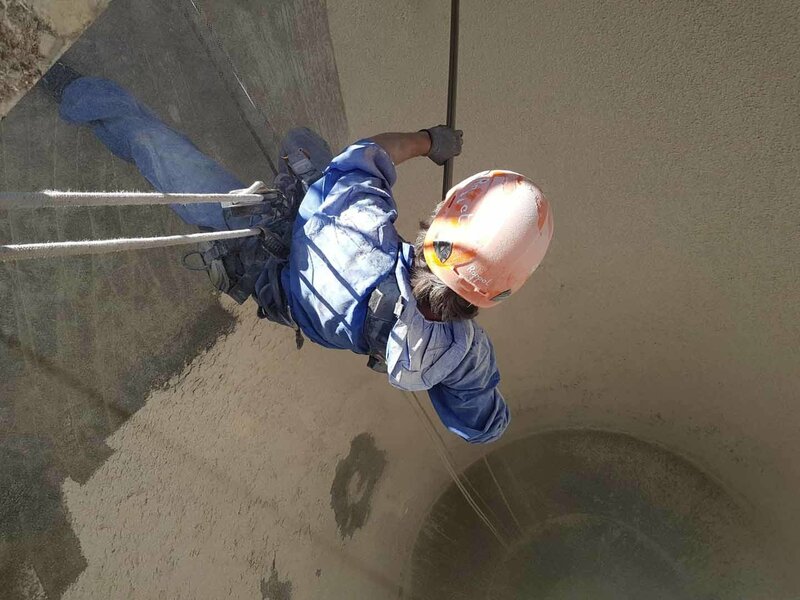 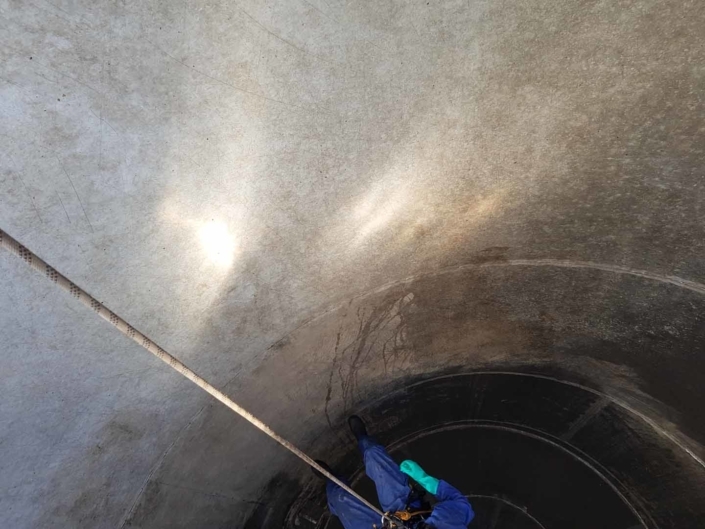 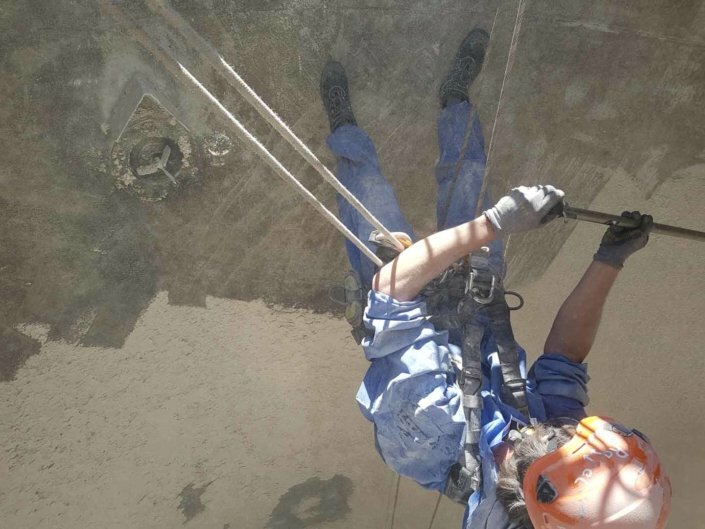 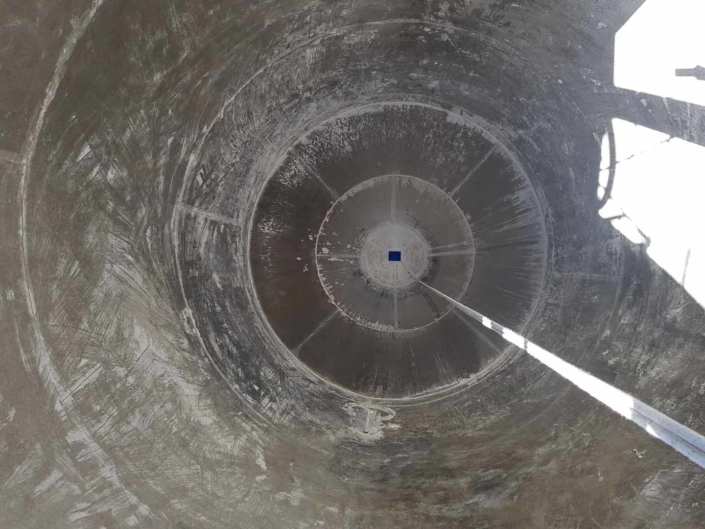 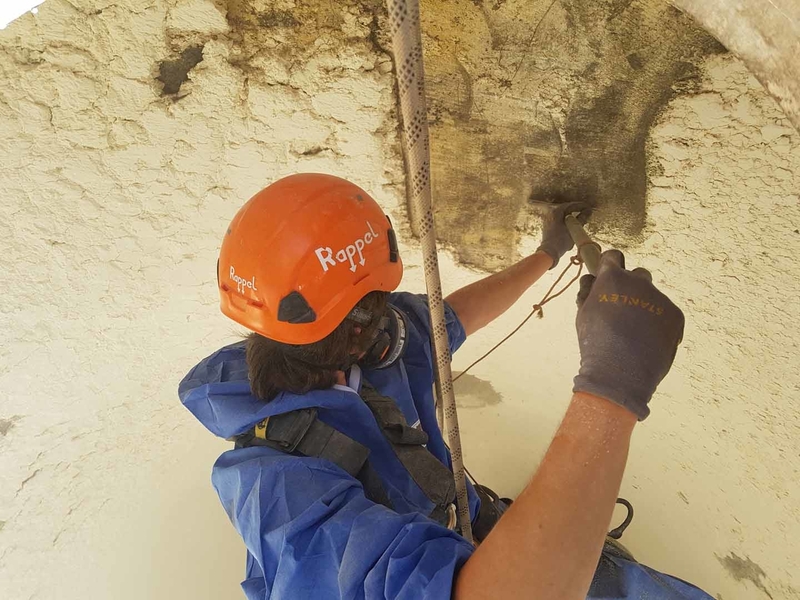 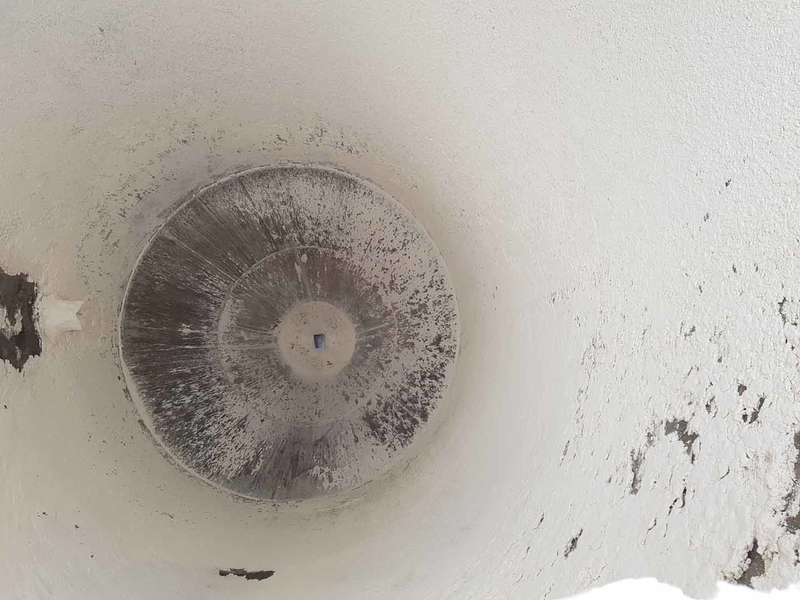 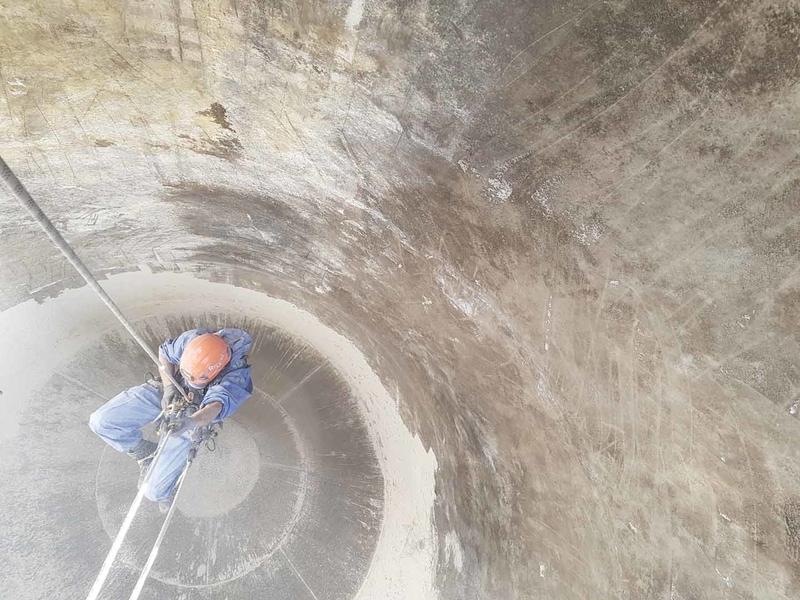 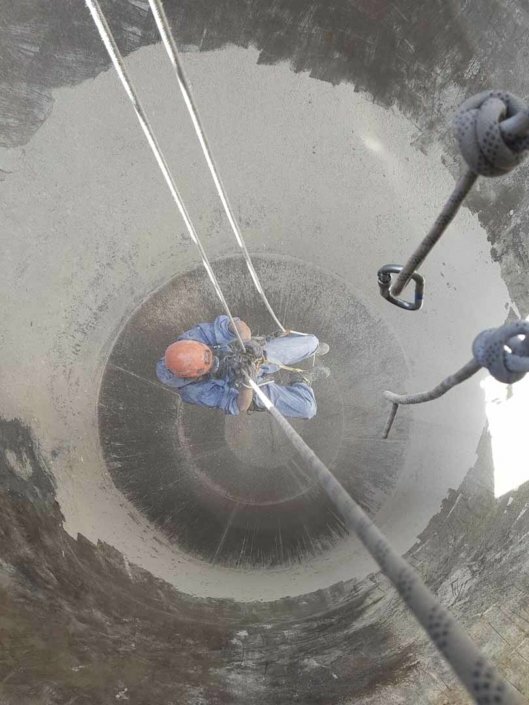 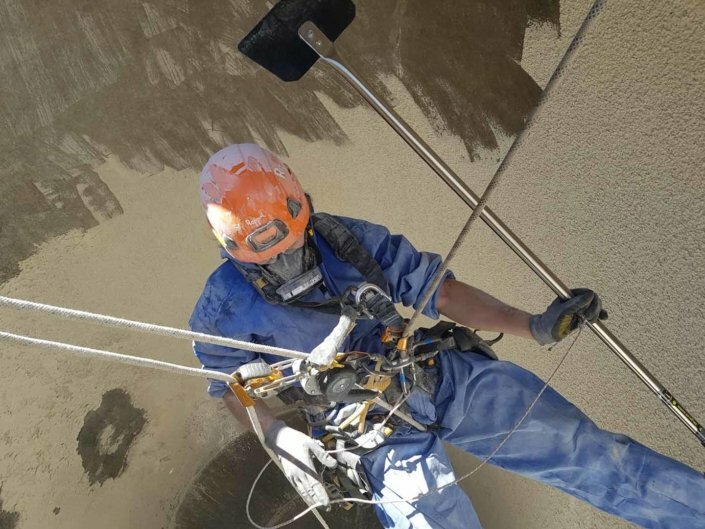 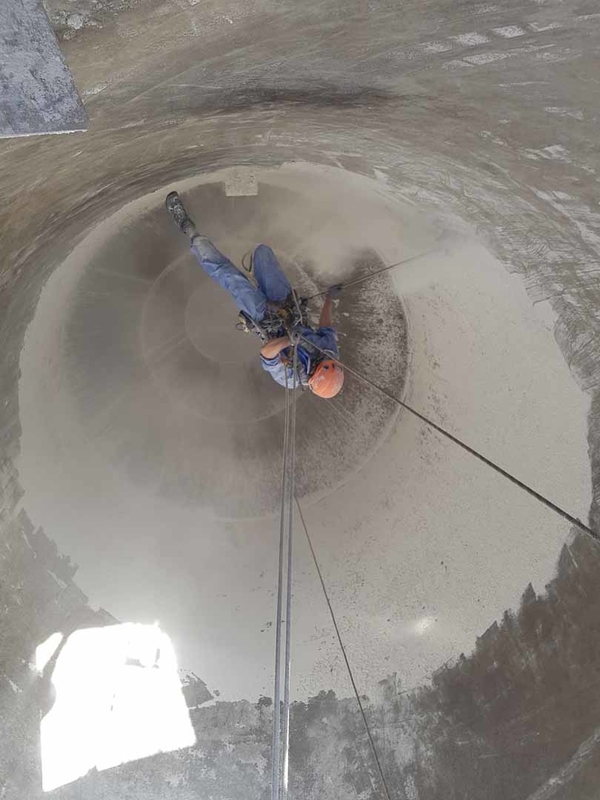 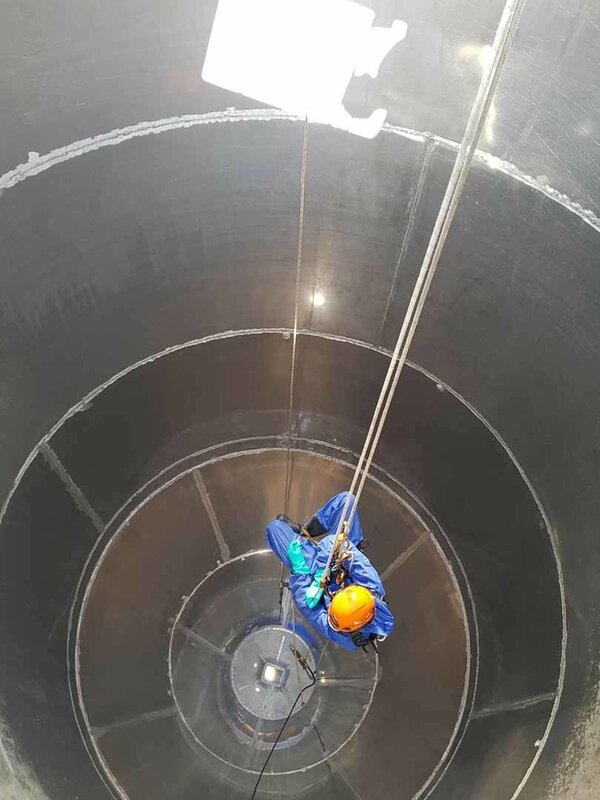 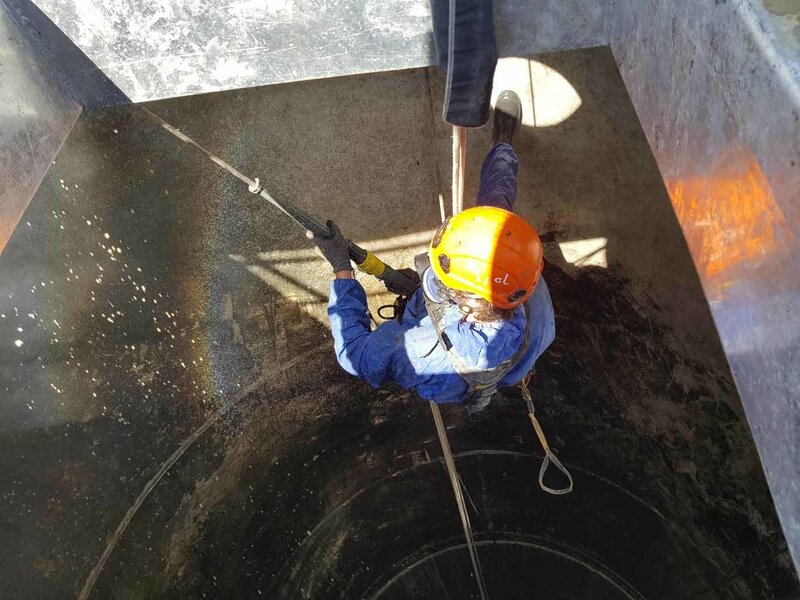 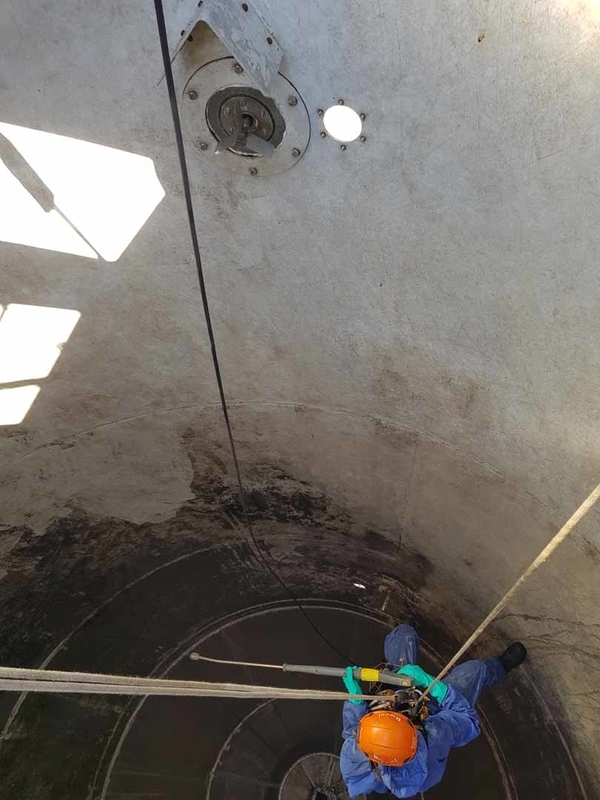 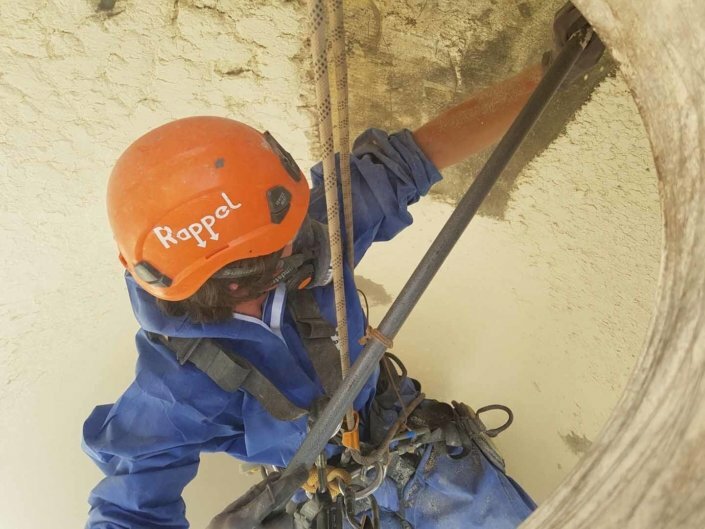 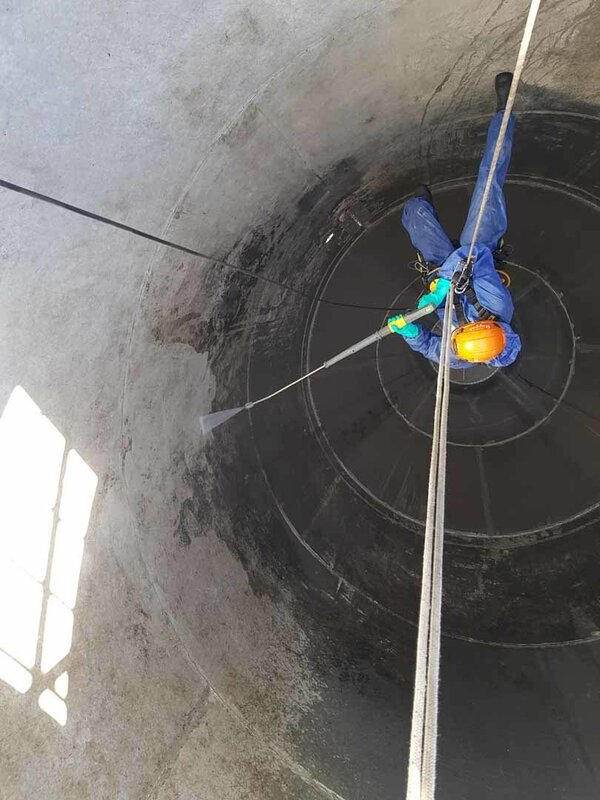 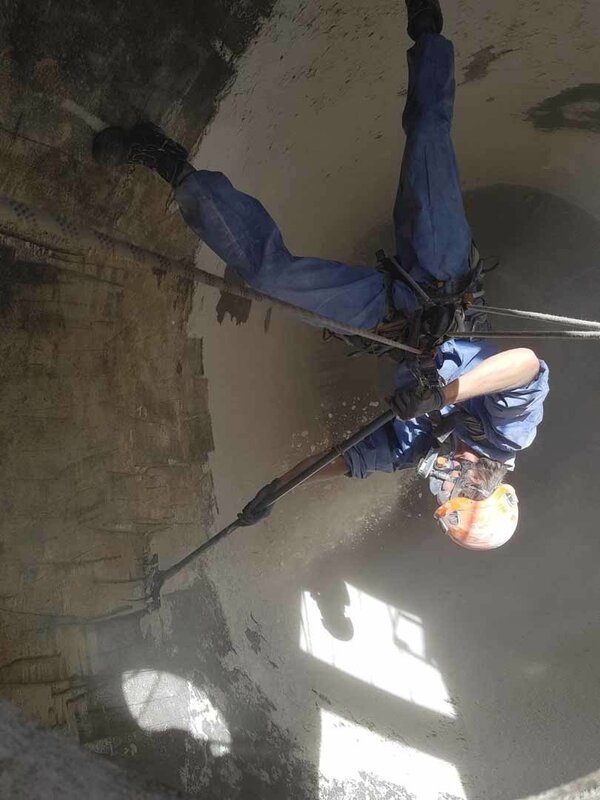 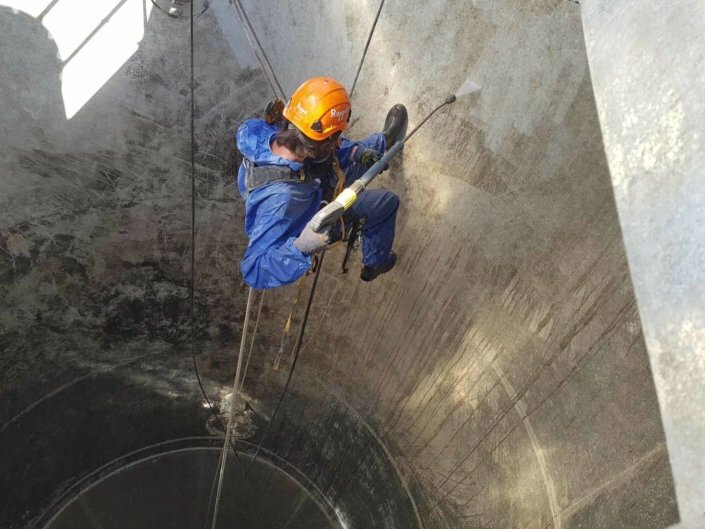 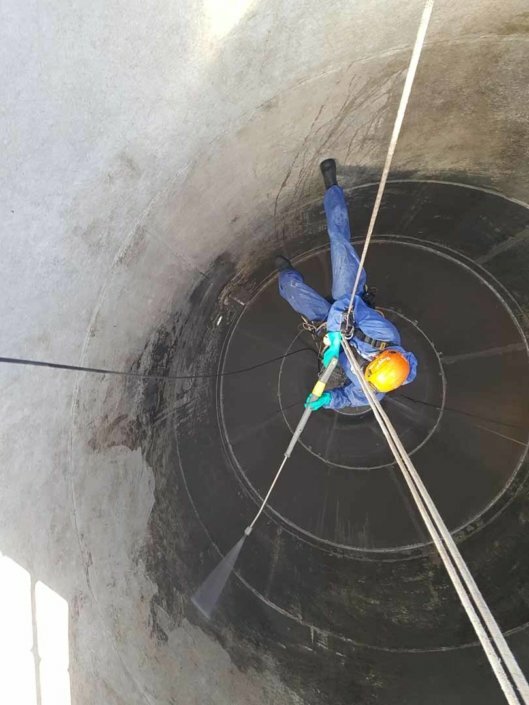 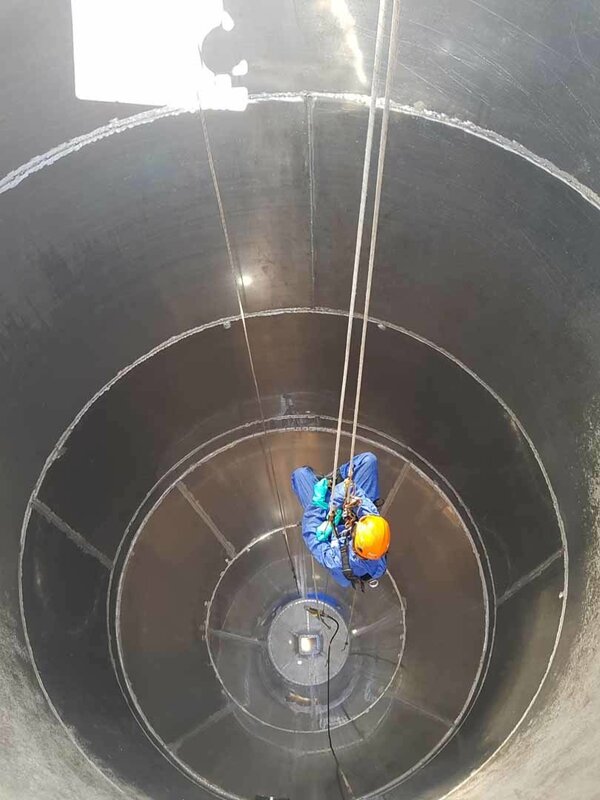 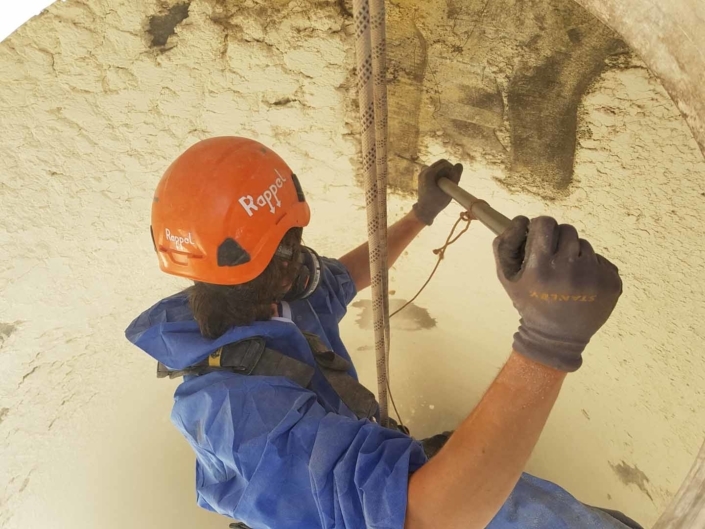 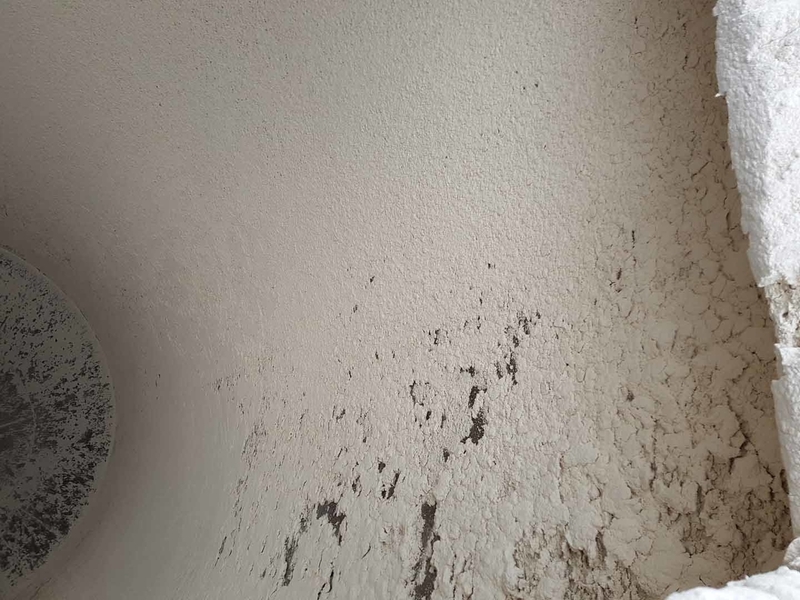 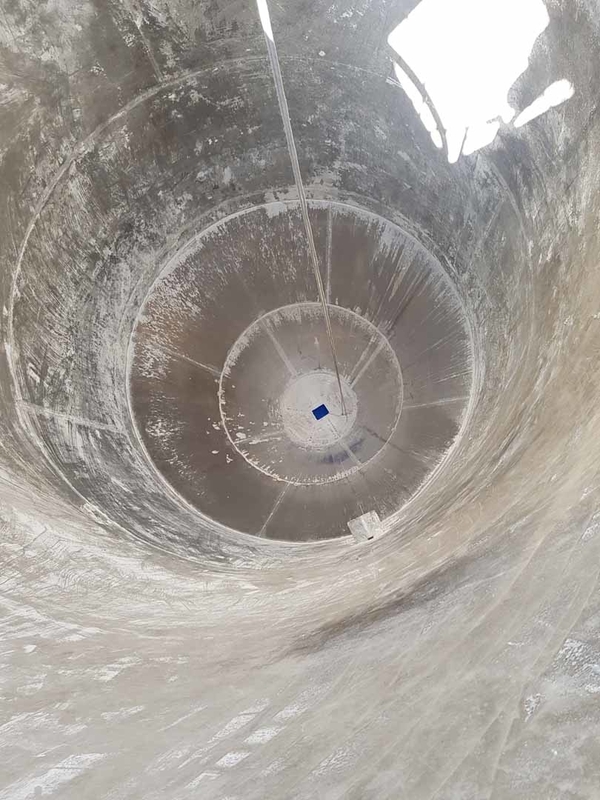 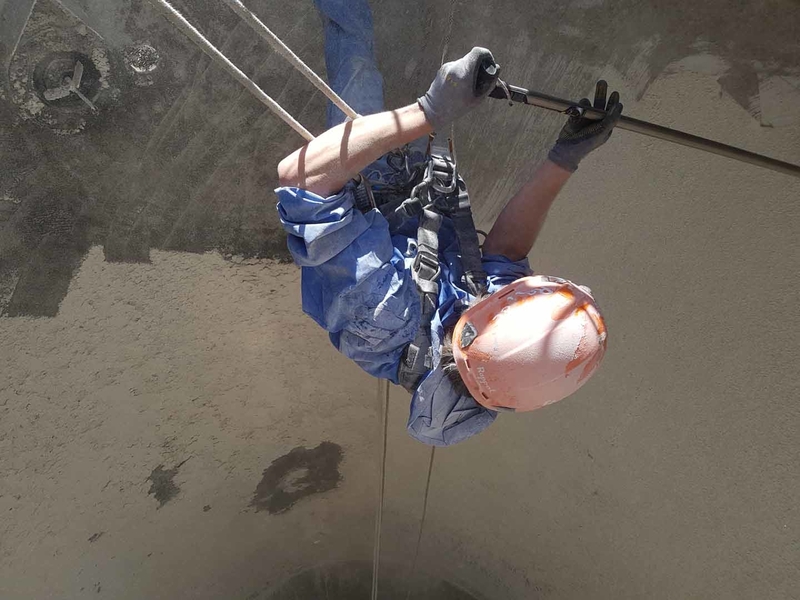 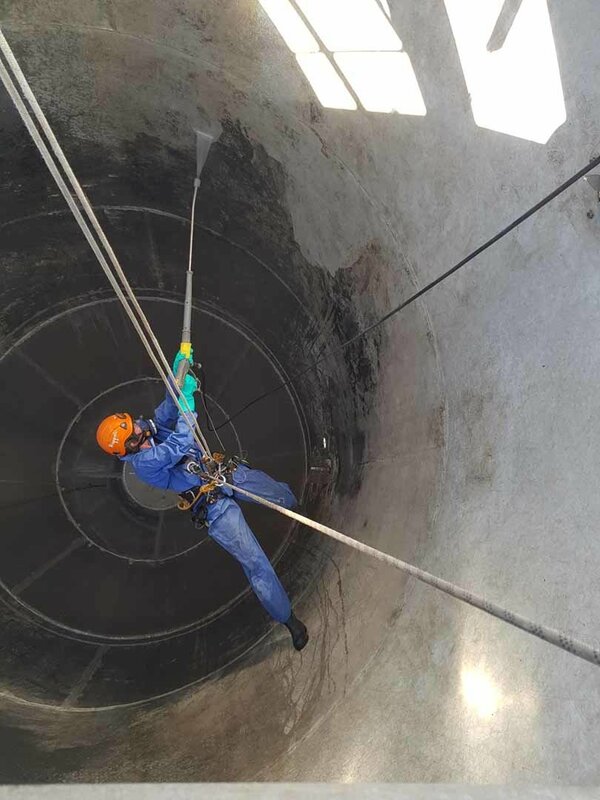 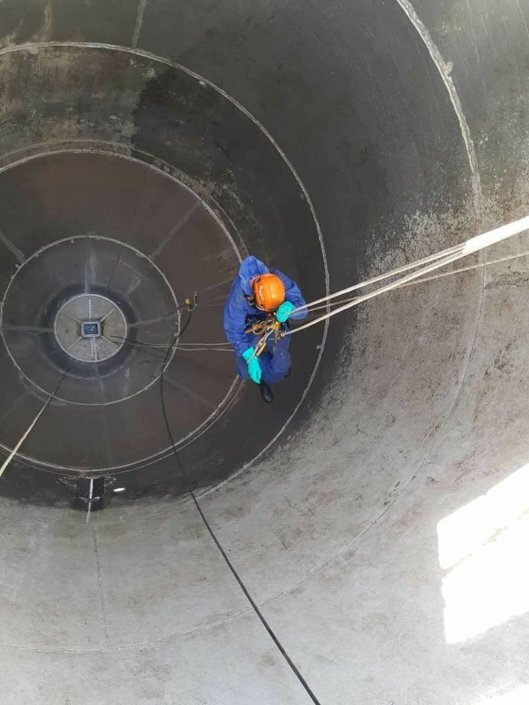 To undertake a full internal deep clean of the flour storage silo asset. 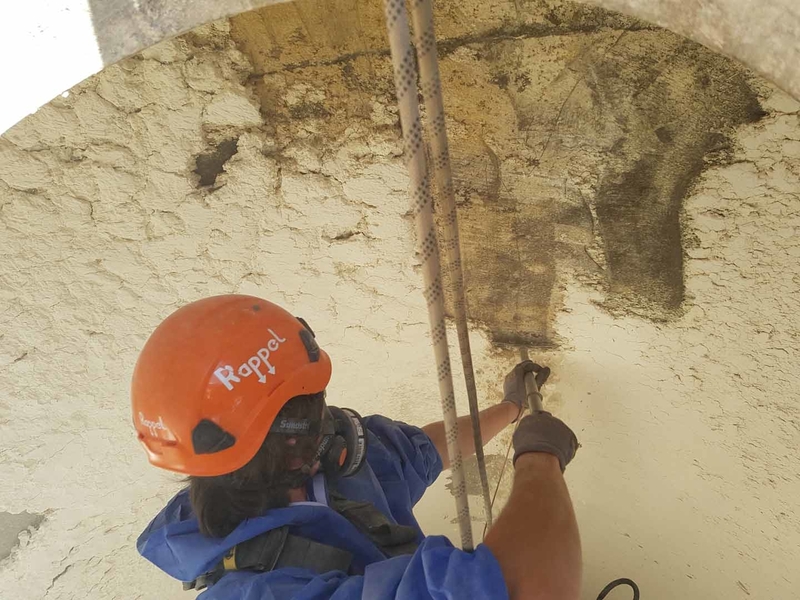 Initially a dry scrape down was carried out to remove deposited flour products that had compacted to the internal surfaces of the silo. 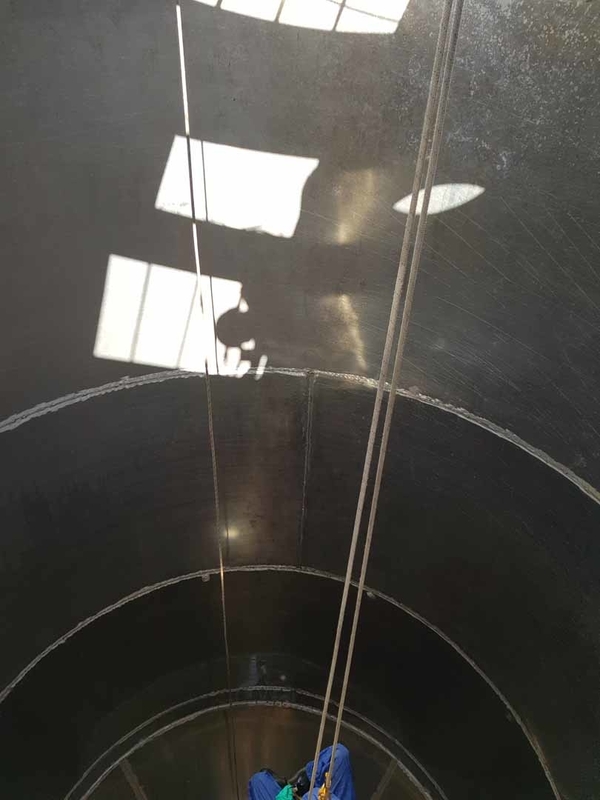 This was followed by a steam / hot water pressure wash clean and a final spray application of a specialist food-safe surface sanitiser.